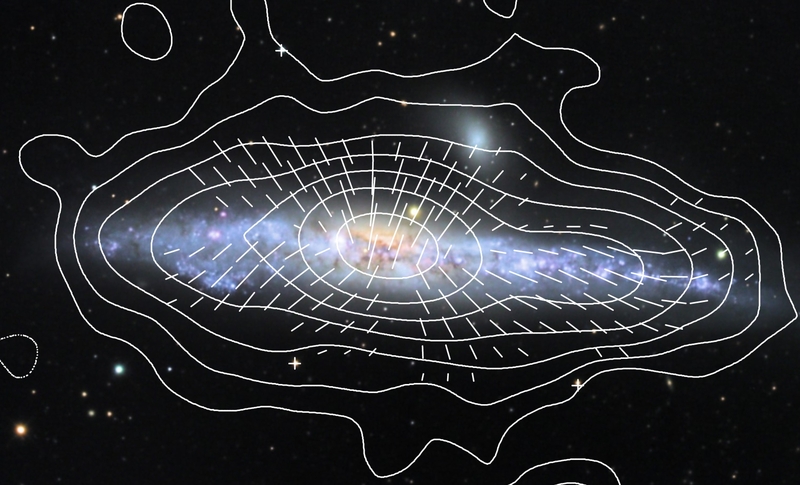 The origin of galactic winds has attracted attention for many different reasons. For instance, star formation is regulated by the amount of gas available, and the presence of winds might affect the availability of such gas. Galactic models that do not include feedback processes, overpredict indeed the amount of baryons and the star formation rate. Winds also might pollute galactic halos with hot diluted plasma that may provide an important contribution to the number of baryons in the Universe, helping to solve the “missing baryon problem” at redshift z = 0. Signature of this gas in the Milky Way is the X-ray emitting plasma with temperature of several million degrees and revealed through the absorption lines OVII and OVIII from distant quasars. This gas seems to extend up to ~100 kpc away from us with a total mass ~1010 Msun. Galactic winds may be thermally-driven, namely powered by core-collapse SNe, or momentum-driven, powered by starburst radiation. These two mechanisms of wind launching are thought to be at work in starburst and active nuclei galaxies. In a Milky Way-like galaxy, winds are unlikely produced by such processes because thermal and radiation pressure gradients are expected to be too small. On the other hand, Cosmic Rays (CRs) can play an important role in launching winds because of the gradient that their pressure develops as a consequence of their gradual escape from the Galaxy. Interestingly enough, when a wind is developed, it can affect the transport of CRs in the Galaxy, by advecting them away from their sources (see Figure 1 for an example of galaxtic magnetic field). Starting from this assumption, a team of researchers at INAF and Gran Sasso Science Institute, including Giovanni Morlino and Pasquale Blasi at the INAF-Osservatorio Astrofisico di Arcetri, have developed a new method to study the Galactic wind, analyzing the effects that the wind has on the propagation of CRs, hence on their observed spectrum (Recchia, Blasi & Morlino, 2016). The work has been submitted to MNRAS. They confirmed earlier findings that CRs can drive winds with asymptotic velocities of order several hundred km/s. But, contrary to previous calculations, they also showed that the spectrum of CRs as observed at the Earth is in disagreement with observations for most of the parameter space for which a CR driven wind is launched. The main reason for such a finding is that the CR advection with the wind is very strong and leads to harder spectra than the observed one. However, this result depends in a critical way on the conditions in the near-disc region (≲ 1 kpc). The conditions in such region affect the high-energy behavior of the spectrum, and change the launching speed of the wind, so that the low energy region of the spectrum is also changed. For certain assumptions on the diffusion coefficient in the near-disc region, the predicted CR spectrum may resemble the observed one. The results presented by Recchia et al. are still preliminary, but the technique developed by the group is very general and can be applied to a variety of conditions. This can allowone to explore the conditions in which a CR driven wind could be launched and to develop possible diagnostics of the existence of winds in our own Galaxy, by directly looking at the features of the CR spectrum observed at the Earth. Figure 1: Magnetic field of the galaxy NGC 4631, where the poloidal component of the field might suggest the presence of a galactic wind.